Many companies start a new financial year in the summer, taking pressure off staff and slowing things down to a manageable pace. Not all businesses get to enjoy the slowdown, but if yours does, take advantage and seize the opportunity to get treatment before it gets harder to turn on your out-of-office message. And if your employer participates in summer hours, use extra free time to attend support meetings, begin therapy, or even start a journal to document your path to recovery. 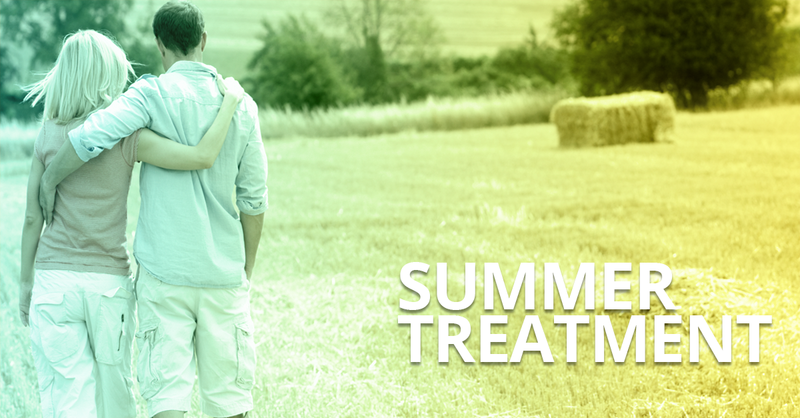 benefit from the long break from classes, making summer the perfect time to start a treatment plan. If the sudden abundance of free time and a good dose of boredom tempt you to indulge in old behaviors, spend your time productively by plotting your course to recovery. There’s no sound of reindeer hooves on the roof. No signs of the Easter Bunny. And no turkey to worry about overcooking. Enjoy your break from the holidays and the family obligations that can be stressful when you’re new to sobriety. Make time for your own health and wellness! Inclement winter weather can be a drag—it can even discourage us from following through on treatment plans. But the gorgeous summer season removes the barriers (and excuses) to attending support meetings and going to appointments. Good weather also encourages you to spend more time outdoors, which can be inspiring, give you natural energy, and get you more vitamin D, which is shown to help improve your mood. Even if you hit your lowest point earlier this year, you still have plenty of time to turn your year around and put yourself on the right track. Focus on ringing in the new year with a renewed sense of purpose and confidence. Remember, there may never be a “perfect” time to start treatment, but the sooner you begin, the more time you have to enjoy life healthy and sober. You have the power to make things better starting today. Don’t wait until tomorrow or the day after that. Don’t know where to begin? Prelude is here for you. Contact us today to get a plan started, ask questions, and learn how we can help you along your path to recovery.